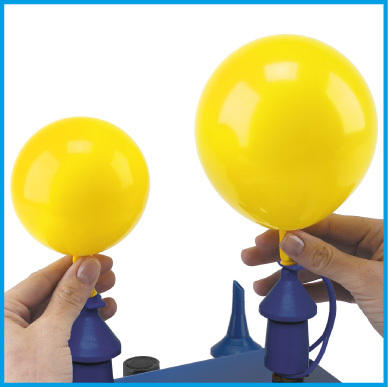 two balloons to different sizes or two balloons to the same size. 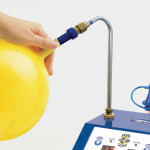 Automatically inflates latex double bubbles. 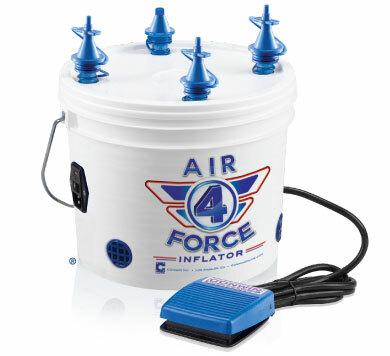 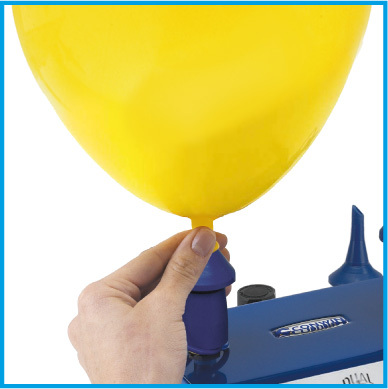 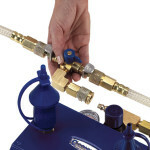 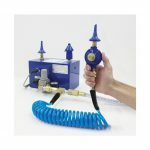 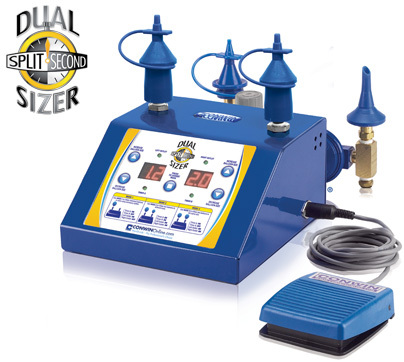 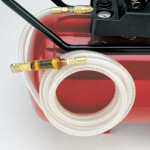 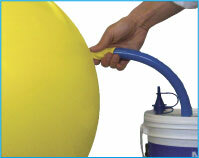 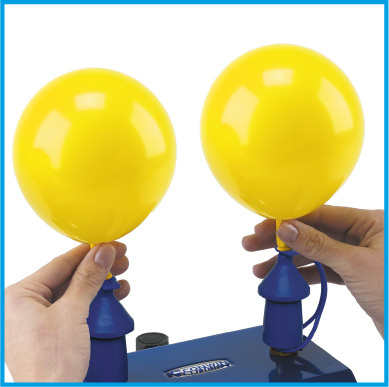 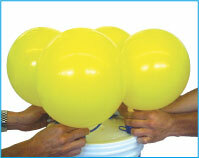 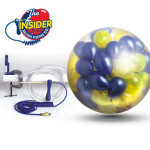 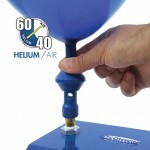 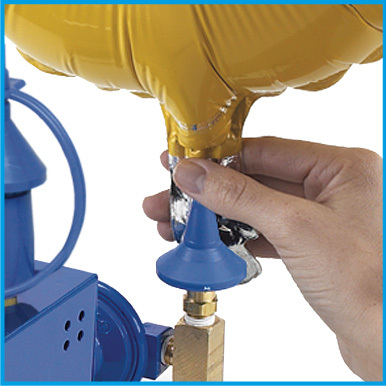 Inflates up to 4 air-filled 9″ balloons and larger, simultaneously.